From Ukumal we drive back to Merida and then fly to Oaxaca via Mexico City. It is a long day and we don’t arrive at our Oaxaca Hotel until 11pm. Our Hotel is the Hotel Casa del Sótano, a small charming hotel, fairly centrally located and very reasonable. 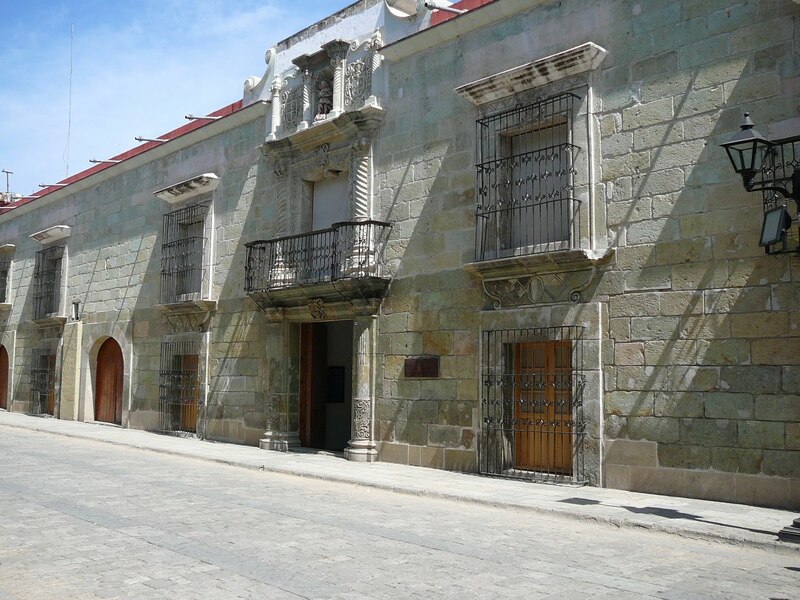 Friday Feb 13th, we spend the day on foot exploring Oaxaca. Everyone raves about this city, and now we know why. This is a city that doesn’t do anything by halves. It grabs you by the heart and doesn’t let go. It assaults all the senses and delights most of them. It is vibrant, crowded, noisy,( very noisy), colourful, surprisingly clean, easy to get around, packed with restaurants, cafes and bars, some good, some not so good, but most of all it is just plain fun. It makes Merida look like a quiet backwater from 40 years ago. It’s a bustling, fast paced, thriving city and is one of the busiest places we have seen. Traffic is a nightmare and parking is impossible. And along with this comes the petty crime. We are warned several times about leaving our car unattended (we have no choice and fortunately nothing happens). This is the first place we have been where graffiti is a major problem. Much of it is political, but it still defaces and scars an otherwise beautiful city. It’s a city of contrasts. It is an old city, filled with beautiful 16th century churches, that sit next to fabulous museums with exhibits in beautifully designed rooms. There is a huge old Zocalo (town square) surrounded by old fashioned Mexican restaurants and bars filled with elderly townsfolk, while down the street there are trendy restaurants in hip surroundings serving modern cuisine to well groomed diners. There are street vendors everywhere, even outside the Parisian Bakery and the café that has been voted the best place in Mexico to get a cappuccino. Many of the wonderful old stone churches and buildings are designed of stone in three colors. There is a pale green local stone, a natural colored stone and a creamy sandstone. Meanwhile the stuccoed buildings next to them are bright and colourful, painted in reds and greens and blues and mustard. There are fabulously wealthy people, driving European sports cars past the homeless man without even a pair of shoes. Oaxaca even manages to show us the saddest case of poverty we have come across in our travels. Walking down the middle of a street we see a homeless person almost black with grime, wearing what was once a white T shirt, several sizes too small for him, and nothing else. Absolutely nothing else. And everywhere there are the artisans,the artists, and their art,that have made this city so famous. 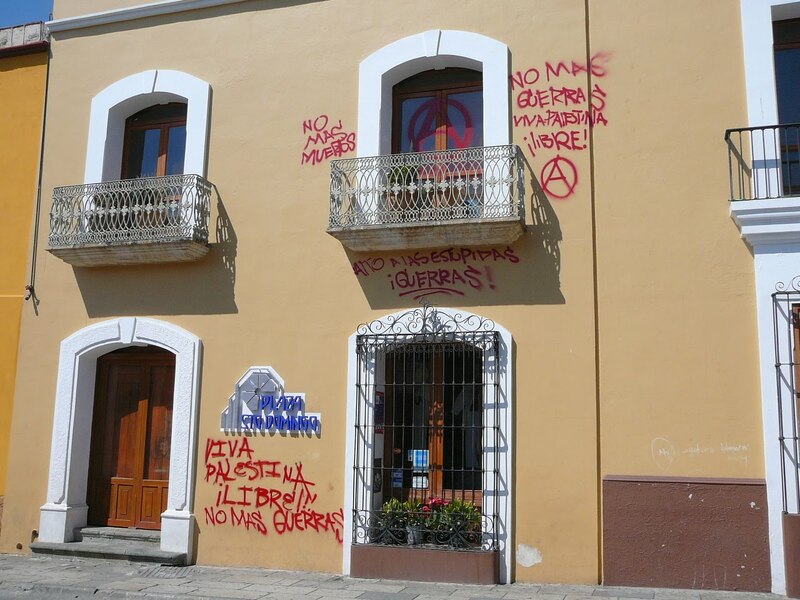 This entry was posted in casa del sotano, oaxaca. Bookmark the permalink.